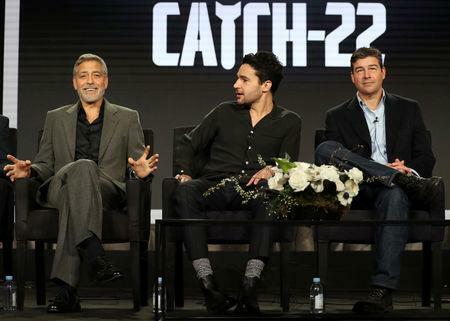 PASADENA, California (Reuters) - George Clooney, who returns to TV for the first time in 20 years with an adaptation of the classic novel "Catch-22," said on Monday the Hulu series set in World War II aims to tell a timeless story about the "insanity" of war. At a preview for reporters, Clooney said he initially resisted the idea of taking on Joseph Heller's 1961 book about member of a U.S. bomber squadron fighting the higher-ups in the military bureaucracy. 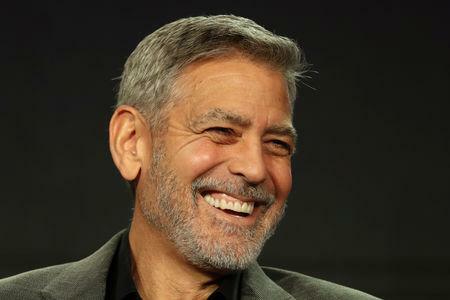 "It's a beloved novel," Clooney, who also served as executive producer and directed two episodes, said at a Television Critics Association event. "I didn't want to get into the middle of that." 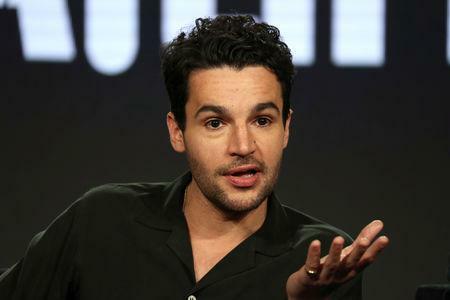 He said he was drawn in because the writers "did an amazing job unspooling these characters" for the six-episode series that will be released on Hulu on May 17. That allows the series to expand on Heller's story, which Clooney said was meant "to make fun of all the red tape and bureaucracy of war and the ridiculousness of war." "I think it still plays," he added. "All of us spend our days and nights worrying about those situations. This story is just reflecting on the insanity of it." "I think we all wake up every morning these days in this kind of shared global anxiety condition, and this novel is a beautiful distillation, or a prophetic distillation of that," said co-writer Luke Davies. "I don't care about the medium," Clooney said. "I just care about the quality of the work and what we're able to do."